When you watch a thriller movie, you expect the film to surprise you at every turn. And if the ending of the movie pulls the rug of your feet without you predicting that would happen, that would leave you with an ultimate satisfaction if done properly. Remember 'there was a twin' ending of Christopher Nolan's The Prestige. Or 'Bruce Willis was dead all along' ending of The Sixth Sense. Or Edward Norton suffering from a split personality disorder in Fight Club or acting like he had the one in Primal Fear. This week's Bollywood release, Badla, has one such killer twist ending. Badla Movie Review: Amitabh Bachchan and Taapsee Pannu Talk Their Way Through This Highly Immersive Thriller With a Killer Twist! Badla has Amitabh Bachchan and Taapsee Pannu in the lead and is directed by Sujoy Ghosh. The movie is an official adaptation of the Spanish film, The Invisible Guest, and retains most of the elements including the final twist that is bound to shock the wits out of you! It may look illogical in sense, but it is something a popular Tom Cruise franchise has been cashing on for so many years! 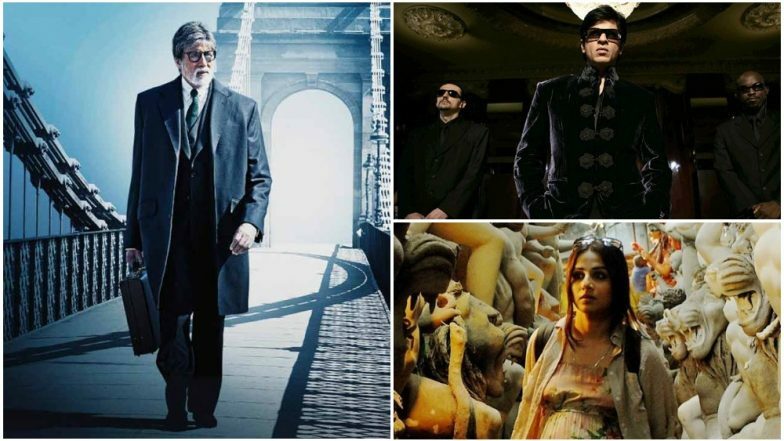 Badla: 5 Spanish Thrillers That We Want to See Being Remade in Bollywood After Amitabh Bachchan and Taapsee Pannu’s Film. In this special feature, we look at 7 such Bollywood films of this century who had a very twisty ending. Of course, we aren't saying that they are original. But for those who were clueless about the inspirations, we are sure that these climaxes would have blown their minds away (no pun intended). Needless to say, there are HUGE SPOILERS AHEAD! The Twist: Badal Gupta (Amitabh Bachchan) is not the lawyer he claims to be. After deceiving Naina (Taapsee Pannu) into confessing double murder, he goes back to his wife and takes off his latex mask to reveal himself to be one of the victims' father. The Twist: Vijay Salgaonkar (Ajay Devgn) had buried the body of his daughter's assailant under the noses of the very cops who were investigating the missing. Yup, right in the foundation of the village's newly constructed police chowky. The Twist: Vidya Bagchi (Vidya Balan) is not pregnant. The husband she has been searching had been dead all along, and she knew it. And what she really was looking for, was her husband's killer. The Twist: In a huge subversion from the original Amitabh Bachchan-starrer, we find out that it was the real Don (Shah Rukh Khan) was alive the whole time. And it was the poor, naive doppelganger who got killed instead. The Twist: The Bluffmaster (Abhishek Bachchan) is the one getting conned the whole time, by everyone around him. Also, he was not suffering from a fatal disease, which again was a part of the con. 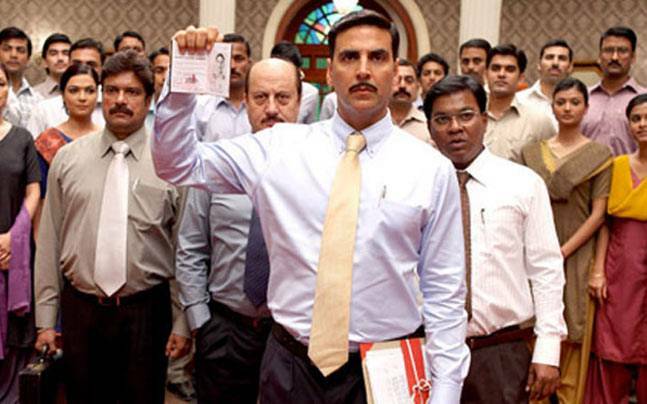 The Twist: Ajay Singh (Akshay Kumar) has been drawing the police into a long con by fooling them about the exact location where they are going to loot. Also, two cops were involved with them. The Twist: Professor Anirudh (Nishikant Kamath)'s experiment disproving ghosts' existence involved mentally harassing a student by ragging him and making him stay in a dead guy's room. After he reveals his secret, Anirudh's theory goes for a toss when he finds out that the student had committed suicide and he was talking to his ghost!